» We were looking for an Orlando Hotel for our Disney World vacation and we came across your site. I must say, your customer service agent Joan was very helpful and she recommended to us the Radisson World Gate Resort. We had a great time and the hotel was beautiful… thanks for recommending it to us. 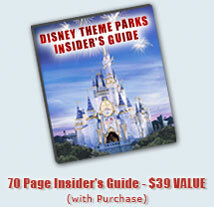 » Your site has some of the best deals on Orlando hotels that we have come across. How are you able to offer the hotels so inexpensive? Am I missing something? What are Disney Good Neighbor Hotels®? They are hotels which are located near Disney World that have passed a test of high standards by a Disney World executive. The Disney Good Neighbor Hotels program is important to Disney; they know that a bad hotel experience can ruin a vacation, and Disney does not want their guests to have a bad hotel experience. Please enter your dates of travel above and we will show you some exceptionally low rates on Disney Good Neighbor Hotels®. • All Disney Good Neighbor hotels offer free shuttle service to Disney World. In fact, this is one of the criteria to become a Disney Good Neighbor hotel. • The hotels have to be close to Disney World. Most of the hotels in this program are Kissimmee hotels located on Highway 192. • The Disney Good Neighbor hotels are required to have excellent customer service as each one of the hotels and the customer service agents must have great knowledge of Disney World to assist guests with any questions they might have. • Since most Disney World Good Neighbor hotels are not located on Disney World property, you should find their rates to be quite attractive. • If a hotel has the Disney Good Neighbor hotels logo outside then you can expect the hotel to be nice…really nice. In order for the hotel to stay in the program Disney requires them to constantly make upgrades to the hotel. There are no dumps allowed in the Disney Good Neighbor hotel program. ** Please note, that only hotels are part of this exclusive program Disney is not allowing vacation homes or condos near Disney World to be included. ** Most of the hotels which are part of the Disney Good Neighbor Program are located on State Route 192 in Kissimmee, on State Route 535 in Lake Buena Vista, and Hotel Blvd which is on Disney World property. Most hotels which are located near Sea World, Universal Studios, Downtown Orlando, or the I-Drive area are typically not part of this program. Call 1-800-651-1005 and Get the Best Rates on a Disney Good Neighbor Hotel Today!